OH my GOD…. 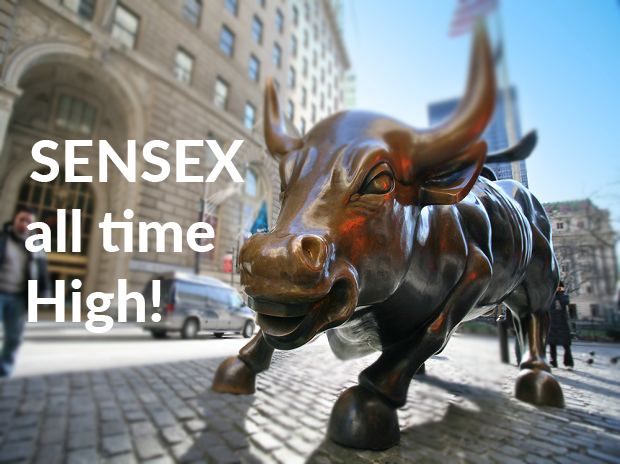 SENSEX at 35k levels! If I’ll be you, I’ll not panic… Why? If you look at the chart below, since June 28th, when SEXSEX was at 35,037 level, it climbed to a peak of 38,896 level by Aug 28th, i.e. in just two months a gain of 3800+ points or 11% UP. Did we question that point of time…why so suddenly the market went UP? Again, if you look at chart below, from beginning of the year, i.e. 1st Jan, SENSEX was at 33,812 level, and from there it went to a peak of 36,283 level by 29th Jan, a gain of 2400+ points or 7% UP. And a correction or a reaction to the budget (key trigger), for the next 2 months slide. Equity market reacted to two key events yesterday, with Sensex going down 1314 points intra-day or 3.5%. Dewan Housing (down 45%) and other NBFCs, banks and also the broader markets. While Yes Bank corrected because of RBI’s denial of tenure extension to the CEO Mr. Rana Kapoor, the fall in shares of DHFL was driven by sale of the company’s debt by a mutual fund at higher yields. 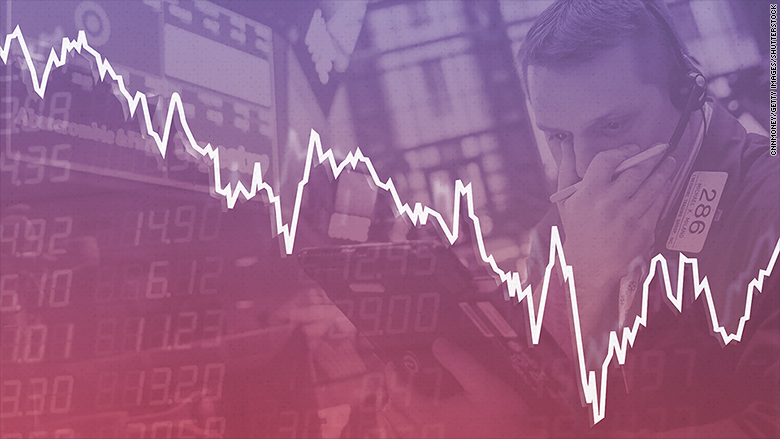 What comes out is the fact that, in the broader markets, this was a knee jerk reaction and prices of most stocks should stabilize once the panic subsides.However, the sharp volatility witnessed, highlights the underlying fragility of the market. It’s true that the selling was largely sentiment driven with no fundamental negatives in most stocks. However, the price action with almost no buying interest characterizes a market where risk appetite is low. CAGR, IRR, XIRR, Absolute return – I am confused? As an investor in Mutual Funds, we all come across these terms, very often. CAGR; stands for “Compounded Annual Growth Rate”, and works on a compounding formula, based on a single transaction. Usually CAGR is used for estimating future returns, based on historic returns or assumptions, for a time range. IRR; stands for “Internal Rate of Returns”, and used for calculating returns for multiple transactions, which are equally spaced in time (past or future). Usually IRR is used for calculating returns for SIP transactions. XIRR; stands for “Extended IRR”, like above, only difference being, when your transactions are not equally spaced in time. For instance, calculating returns for transactions, which may include SIP, Lumpsum, STP, SWP, etc.Absolute returns; refers to the amount of funds (gain or loss), that an investment has earned, over a period of time. Also referred as the “Total Return”, the “Absolute Return” measures the gain or loss experienced by an asset or portfolio. Its shocking to see Rupee’s free fall from 65 to 70,& within last few days to 72 today, against USD. Some of the key reasons which are supporting this downfall, are international events. Experts fell that this volatility will continue for some time to come (one to three months) and stability by Mar-19 or earlier, where Rupee to become stable or under 69. USD & Crude Gaining Strength: USD is gaining strength back home with quantitative tightening & interest rates, leading to drying liquidity. This easy money earlier was chasing emerging market assets (in order to generate higher returns). Rise in crude prices on the other hand is playing spoilsports. 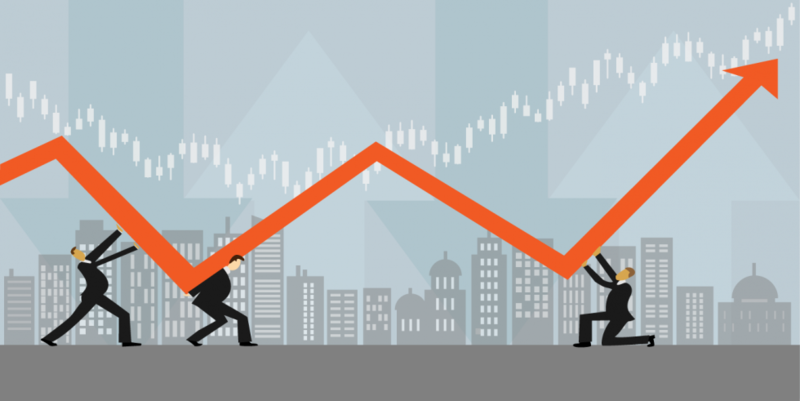 Sensex at 38000 … do we need to cheer, or worry? In just one-month, Sensex has climbed 3000 points, or jumped straight 8.5%. Till June end, everyone was worried, as market has had a very volatile phase (since last six months). As usual, question is, whether one has missed the bus? or the rally has just started? Crude Oil: 70% of the demand for crude oil comes from transport. Alternative for crude oil is Electronic cars, which will become accessible in another 10-15 years (crude reserves are expected to last 50-80 years). Average crude oil price (for India) should range between USD 55-65, because this price doesn’t affect our foreign reserves.